Barrier Group Pty Ltd presents the Menni range of four modular components that can be plugged together in any combination to meet a wide range of end user applications. Primarily used for asset protection applications, Menni modular components help safeguard physical assets by preventing vehicles from coming into contact with them. 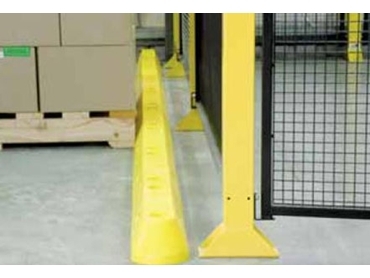 Menni can also be used in locations where goods are stored near pedestrian zones to prevent encroachment by forklifts and other vehicles. The Menni system comprises of four modules including the end module, the body module, the ‘T’ or intersection module and the 90-degree corner module. Manufactured from LLDPE with solid colour and a slip-resistant texture, Menni modular components will not fade, rot, rust or crack while the built-in edge reflectors ensure enhanced night visibility. Designed and developed in Australia, the Menni system references relevant standards and is made from premium virgin grade materials suited to tough local conditions.